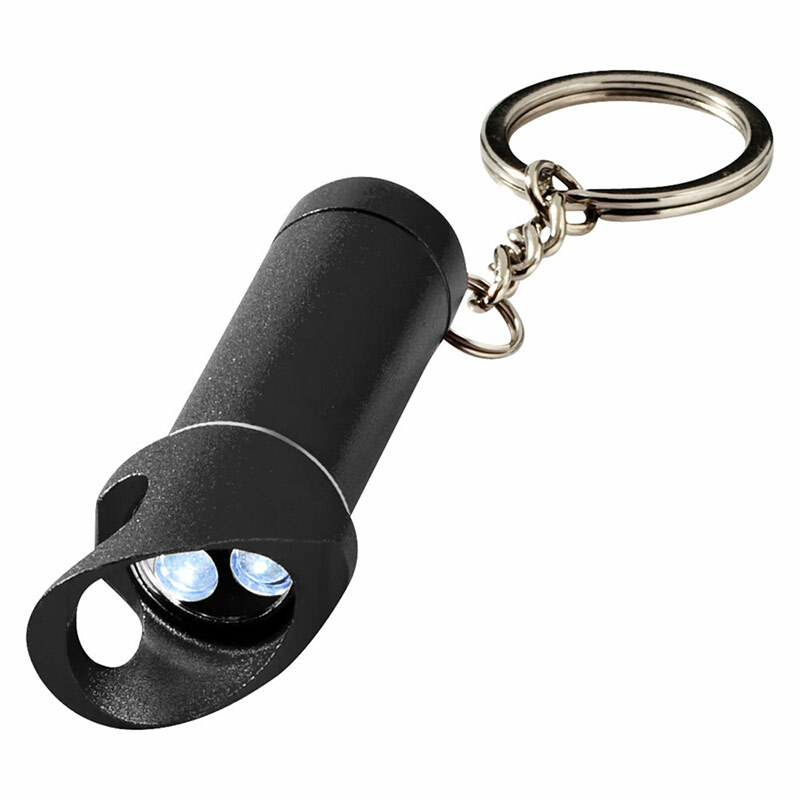 Promotional keyring with black aluminium fob containing 3 LED push-button torch light and a bottle cap opener. Supplied complete with batteries. 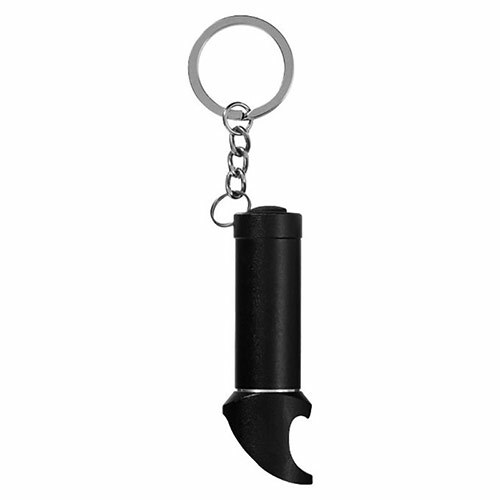 Offered with text and/or logo engraving options. Product size: 6.3cm x 2.3cm dia. Weight: 24g.